Debut Matinée release from bold Scandinavian duo Champagne Riot. Formed as a solo project of Caspar Philip Bock (who also serves as bassist in fellow Matinée hitmakers Northern Portrait), Champagne Riot released a superb EP on Shelflife Records in 2008. 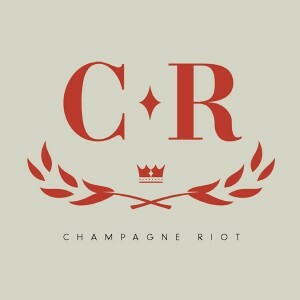 Along the way, Champagne Riot became a duo with the addition of Anders Reuter and the two proceeded to experiment with new sounds and a bolder approach to pop music. Recording from the basement of a neglected Copenhagen shopping mall, they make pop music of a kind that rarely exists anymore. Their melodies take you back to a distant youth of sentimental evergreens on noisy AM airwaves, long summers of true love, and endless possibility. Their soundscapes are painted large and grand and draw inspiration from a variety of places, including the world of classical music, Scandinavian melodic tradition, and electronic pop’s greatest torch-carriers including Kraftwerk, New Order and Pet Shop Boys. In contrast to the music, their lyrical universe describes a lifestyle full of chaos and apathy. ‘Moonstruck’ begins the EP with a self-composed classical arrangement that gradually evolves into a massive electronic pop track full of arpeggio synths and layered drum machines plus a sweeping, radio friendly chorus. The song tells the tale of a night out in Gothenburg, Sweden and the resulting paradox of feeling perfect in the moment while realizing a late night crush will never survive the light of day. Following the lavish title track, ‘Goldrush’ showcases more rich instrumentation including piano, mellotron, harpsichord, layered snare drums, and hand played percussion, while ‘Heart Stab’ is a club hit inspired by classical French pop, with organs and harpsichord melodies mixed with sweeping synthesizers. ‘A Friend Of A Friend’ concludes the EP with a clever mix of electronica and traditional instruments including piano and flute, plus nice female backing vocals. The song celebrates the beauty of shameless laziness, another recurring theme in the life of the band. Champagne Riot's uniqueness lies in their ability to translate and express a sense of inner chaos and urge for rebellion through songs of purity, beauty and romance. ‘Moonstruck’ is a confident step forward for the band and a magnificent and unexpected release for Matinée. Perfect for fans of classic electropop or modern artists like The Drums (whom Champagne Riot supported on their recent European tour) or The Radio Dept. Limited to 1000 copies in custom minijacket.